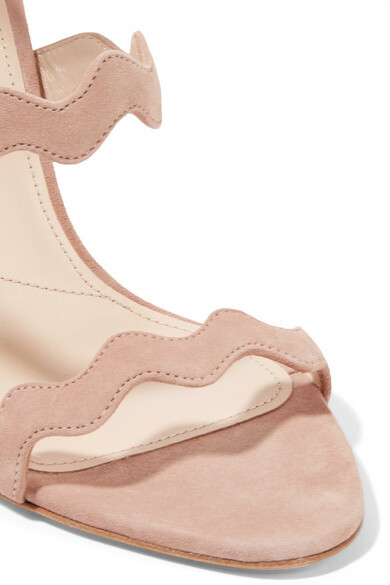 Beige sandals are on track to be one of the biggest trends of the season - we love that something so versatile and practical can be so chic, too. Prada's Italian-made version has a pin-thin heel and three flattering scalloped straps that are precisely cut from velvety suede. Wear yours with ankle-baring hemlines. Shown here with: Prada Shirt, Prada Skirt, Prada Shoulder bag.